So, what’s your preference, jellied cranberry sauce or a fresh made relish? I like them both to be quite honest! I don’t snub my nose up at the “stuff out of the can” I love that you can shake this gelatinous canned shaped cranberry solid to come out in perfect form. And how convenient is it that the can ribs are molded on the side showing you where to slice it perfectly?! If you’re like my husband he even uses the can lid to slice through it! Nellie, she will take this canned cranberry and slice it and then layer it with a cream cheese mixture! Seriously delicious! I think she might have gotten that recipe from Paula Deen. 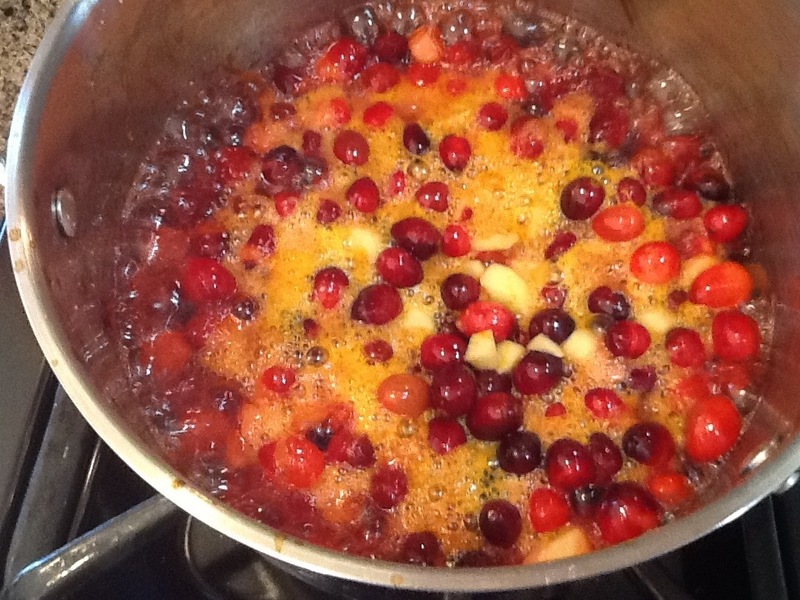 I also love a homemade fresh cranberry relish with orange zest and apples. You generally pulse fresh relishes in the food processor. Or, you can take this same recipe for the fresh relish and cook it down and transform it into a very saucey sauce. If you haven’t made your own before you should try. 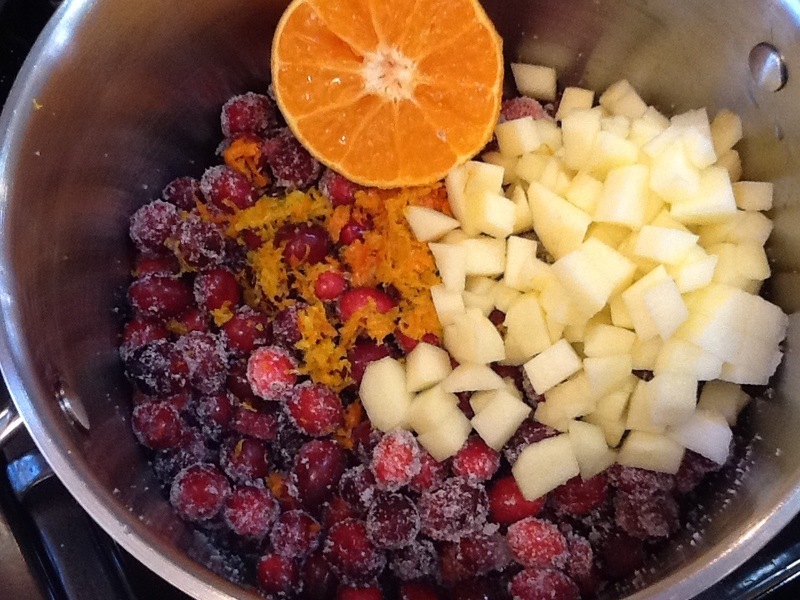 Hearing the cranberries “pop” and the smell of the orange zest from the bubbling steam, makes you want to hum a Christmas jingle. 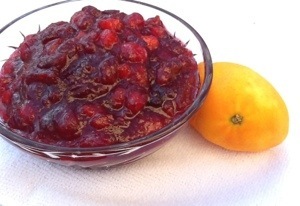 No thickener is needed for this cooked cranberry sauce. 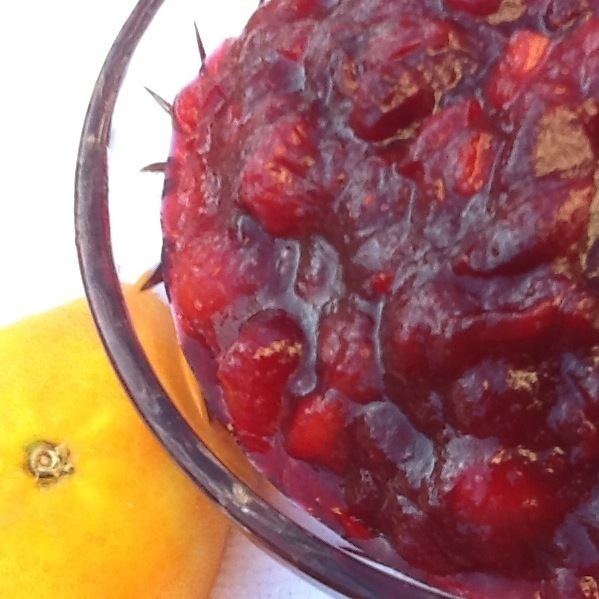 Once the cranberries have bursted they are full of their natural thickener, pectin. So, no gelatins or jell-o’s are needed! Keep those for your mold! Mix well, and bring to a soft boil. Stirring occasionally. The liquid will reduce. This is the perfect condiment for jazzing up that turkey bird! The Thanksgiving table wouldn’t be the same without it! So, pass the cranberry sauce please! Place all the ingredients in a sauce pan and cook on medium-high for 15-20 minutes or until most of the liquid has reduced – stirring occasionally. You’ll hear the cranberries popping – don’t worry, that’s what you want them to do. Remove from heat and serve. 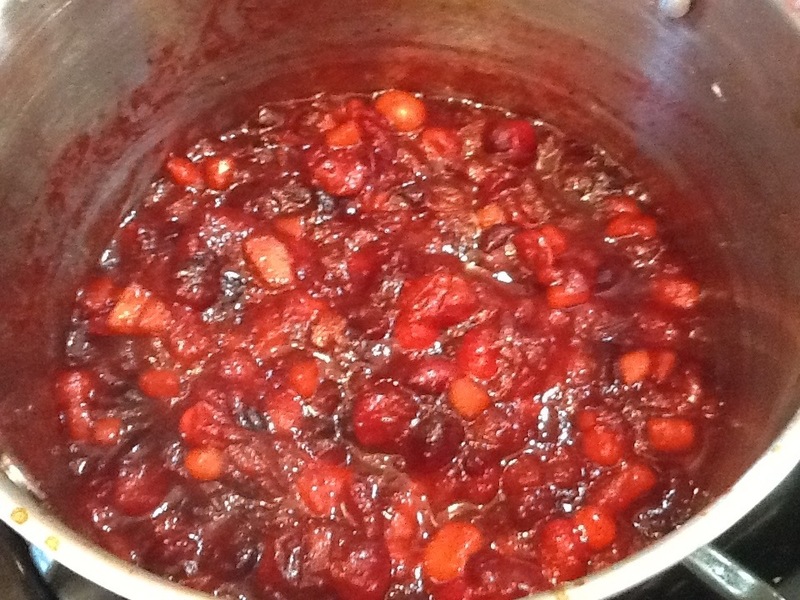 Cranberry sauce can be made days ahead and brought to room temperature or slightly heated before serving. I’ve always assumed that I don’t like cranberry sauce – that can blob just has some “spam” type qualities. BUT, of course, now that I read your blog and think about popping cranberries and zesting and all…..now I want to make it. The real kicker, of course, was the “optional” flavor, which I’ve learned w/ you is like, “well, you can make it without” (but WHY?!). Happy Thanksgiving, friend! 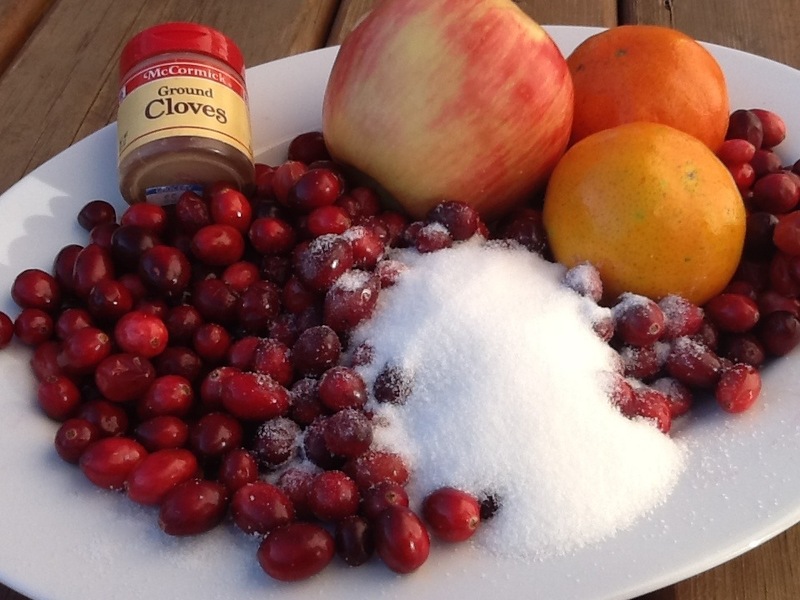 I was searching for a cranberry sauce recipe and here it is. Knowing you I know it has to be good. Is it 1 cup of sugar and 1 apple peeled and chopped? Omgosh! Thanks for noticing that I had that misprint. I updated the correct recipe. Enjoy! 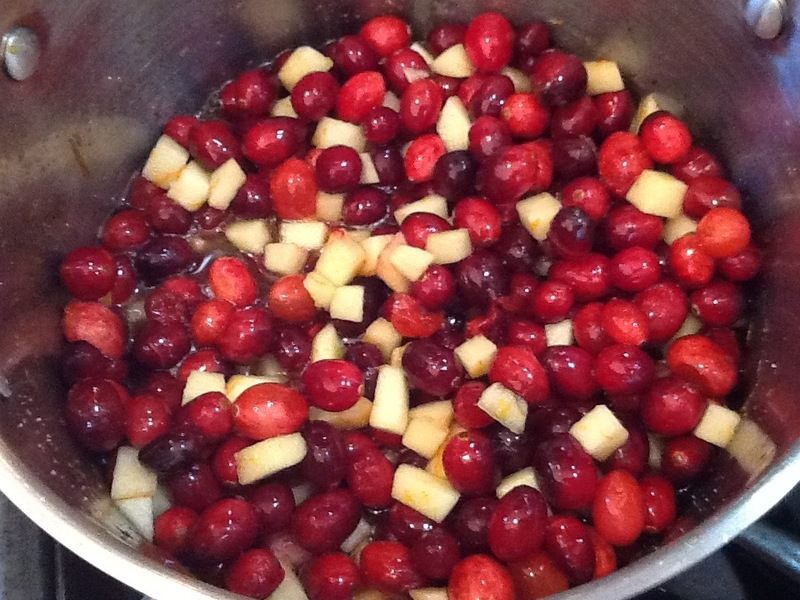 Homemade only please….I HATE THE CANNED CRANBERRY STUFF!!! Your recipe is similar to mine Tahny…except the apples…I might have to try that add in this year! My recipe is done in the micro wave though, so easy…is that gross??? And now…I am about to head to my kitchen to make your molasses cookies!!!! I am drooling thinking about it!! !